Some people are uncomfortable being the center of attention. But staying visible and being attention-getting is the best way to stay safe when you're working. This Occunomix Yellow LUX LSET2B Men's Hi-Vis Long Sleeve Birdseye Work T-Shirt will make you a center of ... (see full details) (see specifications) #OCCLUX-LSET2B. Some people are uncomfortable being the center of attention. But staying visible and being attention-getting is the best way to stay safe when you're working. This Occunomix Yellow LUX LSET2B Men's Hi-Vis Long Sleeve Birdseye Work T-Shirt will make you a center of attention, and that will make you safe. This high-vis, bright yellow long-sleeve shirt is made of lightweight fabric. The lightweight material feels comfortable and won't hold in a lot of heat. This hi-vis Occunomix shirt is bright enough to practically give off its own light, so you won't have to worry about people not being able to see you in it. This high-visibility long sleeve is rated and approved to be 100% ANSI/ISEA 107-2015 compliant for high-visibility clothing. The wicking material used for this Occunomix work shirt gently pulls sweat away from your skin to leave you feeling cooler. Long hours out in the sun can be brutal, but this lightweight hi-vis long sleeve shirt allows for great ventilation and breathability with it's birdseye knit, also adding to the temperature regulation this work shirt provides. Two inch silver reflective tape adds more high-visibility protection. It was used to create one horizontal stripe and two vertical stripes, adding a grid of visibility. The stripes reflect even minimal light to keep you easy to see. Have we got your attention yet with this high-vis shirt? This Occunomix Yellow LUX LSET2B Men's Hi-Vis Long Sleeve Birdseye Work T-Shirt will make you safer, and that’s how you need to be. 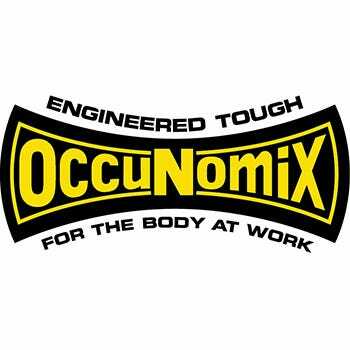 Occunomix Shirts: Men's High Visibility Yellow Long Sleeve Shirt LUX LSET2B is being added to your cart.